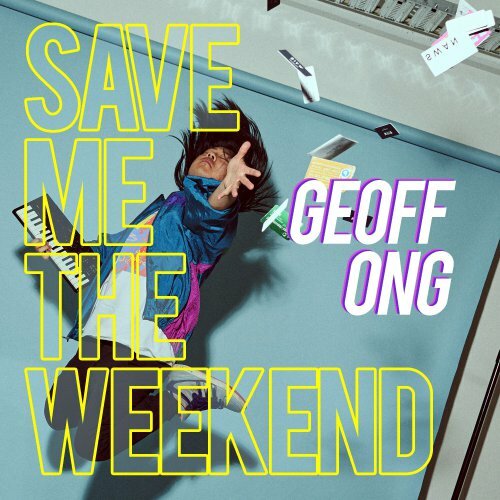 Geoff Ong returns with a new pop banger, Save Me The Weekend. From the moment the track starts you are welcomed with all sorts of goodies for your ear if you choose to pay attention to the little details. Other than the sampled and pitched vocals over the synth keyboards, I hear perfectly mixed vamping guitar to prepare me for the verse. Ong understands pop. Instead of going along with the common pop theme of single note melodies in today's musical trends, he chooses to use catchy yet simple melody to carry his lyric. A solid beat works well the vamping guitars and a wonderful bass line that rumbles my sub while still staying perfectly in the mix with everything else. For the average pop listener, this is accessible, but for me and many other musicians, you can hear the level of detail that went into the song without over complicating it. Vocoder, ad-lib vocals, harmonies. All things that have been added to make the song work. Influences that come to mind are Dirty Loops and Zedd’s In The Middle. It is wonderfully mixed and mastered with the help of Phil Levine. For those who enjoy modern pop music, this is definitely something that will resonate with them. If pop isn’t always your thing, you might find this track will pleasantly surprise you. Information about the background of Keepingfaka is sparse. The official Facebook, YouTube and Spotify pages offer no biographical information, or even the slightest hint of an about section. It was Record Store Day, and vinyl fans across the country were treated to special events and special releases from musicians who year on year support the event. Across Auckland, independent record stores opened their doors following advertising campaigns on the run up to day.